Design of a plastic part affects more than just its good looks. The design has an impact on the ease of manufacturing, dependability, performance, quality, and the cost to produce it. Design also determines how quickly the part can be introduced into the market, as well as being a driving factor regarding competitive advantage. Planning your extrusion project means creating a strong design that takes a number of factors into consideration including cost, production time, material, possible shape constraints, length tolerances, wall thickness, and added features. Each component of your design determines not only the finished appearance, but whether the final product will perform as intended. 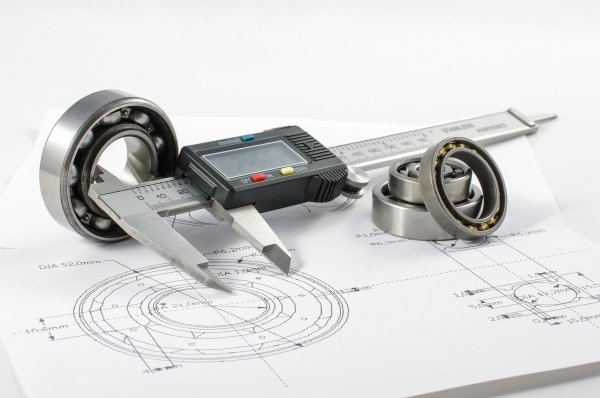 There are key factors that are instrumental in the success of creating a well-designed part that is cost effective. Creating a good design is understanding the product application, market & performance level, and end-use objectives. Mold efficiency and performance must also be taken into consideration. A wall design that is consistent in thickness helps ensure that material will flow equally and with consistent pressure through the die that allows for even cooling. An uneven wall thickness can result in bowing or distortion and may require additional tooling or cooling cycles, which can increase production time. Sharp corners and notches can affect strength and durability by creating weak points in profile extrusions that may lead to breaking or cracking. Incorporating rounded corners into your design can help prevent these issues. Projects involving mating or intersecting parts should include a sample piece to help facilitate the design stage to ensure proper fit and function. Hollow shapes and other details can have an impact on product functionality, tooling costs, and production time. A sharp corner designed in a hollow extrusion, for example, could cause areas of weakness that can result in product failure. Hollow shapes also require additional modifications to the die to ensure proper material flow. These shapes can also complicate the sizing and calibration process. Adding additional internal details should also be avoided when designing hollow shapes due to the added complexity and potential issues with keeping the details stable during the cooling process. Statistically, once the product has been designed, around 8% of the total budget allocated for the product budget has been spent. At this point, about 80% of the entire cost of the product has been determined solely by its design. By taking each design element into consideration, you can help ensure the durability and performance you need while remaining on time and on budget. Lomont Molding LLC (Lomont) has been providing premier engineering and design services since 1982. Our expertise, combined with innovative and cutting-edge technology, allows us to handle simple and complex projects of all sizes, and we pride ourselves on delivering quality product design and development. We have the expertise to provide design assistance and facilitate the production of your extrusion project. Contact us to learn more about our extrusion design capabilities.